LAKEWOOD RANCH, Fla. (Dec. 8, 2017) - Using a goal in each half, Crossfire Premier's U18/19 side defeated Real Colorado, 2-0 on Friday afternoon to wrap up the second day of feature games at the 2017 U.S. Soccer Girls' Development Academy Winter Showcase at Premier Sports Campus. Katelyn Duong got her side on the score sheet early in the game with a nice goal from short range in the fifth minute, while Helena Reischling added the insurance tally in the 62nd to secure the win for Crossfire. 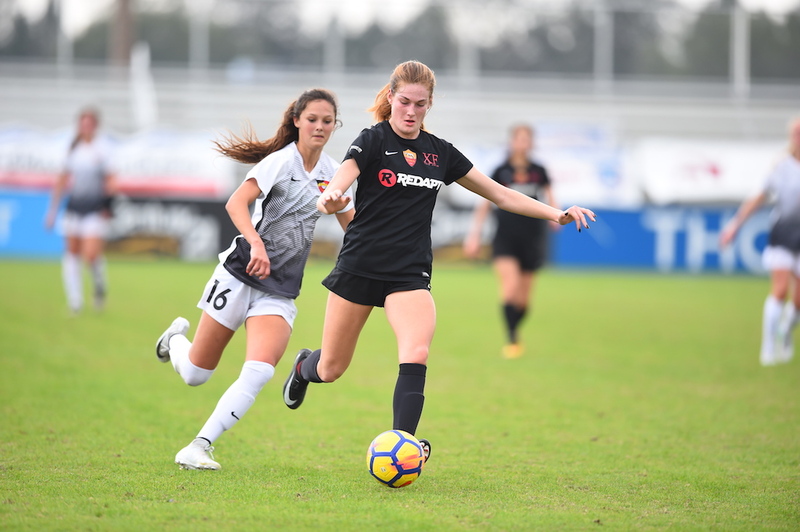 With the victory, Crossfire Premier's record this season remains unblemished with the Washington side improving to 12-0-0, after the team's earlier win against Sky Blue - PDA on Dec. 7 on what was their first game of the Showcase in this age group. Real Colorado played the game without two of its leading players in midfielder Jaelin Howell and forward Sophia Smith (who has scored 16 goals in just eight games), as they are both currently participating in the 2017 Women's Nike International Friendlies with the U.S. U-20 Women's National Team.